Sorry, guys. Traveling this weekend so while I will be able to watch the games, I'll no time to write them up. So post your thoughts here. Those looked like some of the worst shooting lineups in the NBA out there at times for the Lakers. I don't think you've seen as many jumpers from Robinson, Black, Nance and Randle combined in a game. That didn't help the guard play, either. Good game by Ingram, driving and hitting that midrange, which has been much improved. Kind of game we've pictured him having from the beginning. Wish that throwdown on Griffin would have went down. Nwaba with the career high scoring. He needs to trust that jumper a little more. But some signs of life in his two-way game. Robinson gave the Lakers some much needed energy after getting subbed in for Randle early in the first. Lakers down 17-0 came back with a huge run of their own. After the game, Luke talked about the team not being "engaged" ... that's generally a word used for Randle. Randle sat early, so Luke wasn't pleased with Randle's start. (Looked like he wasn't communicating on D.) Some three's by Randle later in the game (maybe someday his jumper will look like Blake's did tonight). Russell and Clarkson were nonfactors. Luke liked Russell's game in the first half. He was missing good looks and passing, but had little to no confidence in the jumper in the second half. Clarkson never got to the rim consistently like he usually does. Again, those poor shooting lineups didn't do them any favors, but not good games. Nance had some active D early on but also wasn't much of a factor. The constant lineup changes have always been tough for the young guys to adjust to. The new FO has a eye for talent, all the new guys they bought in are really giving effort. Also, forgot to mention... that might have been the first game I've seen the team just dump the ball to Ingram again and again and kind of get out of his way. I understand about shooting form as much as open heart surgery (no, I'm no Doctor), but his jumper looks nice to me, not some broken ugly thing. With more training and confidence he may become a decent shooter. The sample size has been pretty small to view it. If anything it looks a little flat, but it certainly doesn't seem clunky. Did not catch this game. Looks like I am lucky. Listening to some of the post practice interviews, I kinda get the vibe that lots of dudes are high on Ingram. It doesn't necessarily have to do with what he's doing from game to game. That's impressive and all, but it's the closed door stuff that seems to play a huge role. Luke in particular is always raving about his work habits, practices and approach to the game. Anyone remember Corey Brewer's first interview after being traded here? 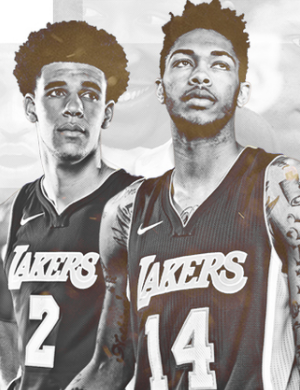 One of the first things he said about the team is that Ingram is going to be really good. That, IMO, plays a huge part in why guys are starting to look for him on the court. They are seeing something that we can't really put into analysis here. Best part of the game to me was Blake trying to get in Ingram's head. Ingram responded later by nearly putting him on a poster. Brought a smile to my face. Good to know he responds well to that kind of BS from opponents. Good point. So much better than carrying dead weight like Huertas, Sacre, etc. Both also played pretty solid in some spurts, but these guys are playing better more consistently. This is the type of game where guys like Nwaba, black and Trob flourish. It's a "do we need you back next year" kind of game and they flat out hustled. Maybe there's a good chance Trob and Nwaba return on minimum deals. Randle, despite all his talent, is playing his way off the Lakers. His lack of energy and effort at the start of games and on the defensive end are not going to be tolerated by Magic. While guys like Clarkson, Nwaba and Robinson are way less talented, they hustle and defend. 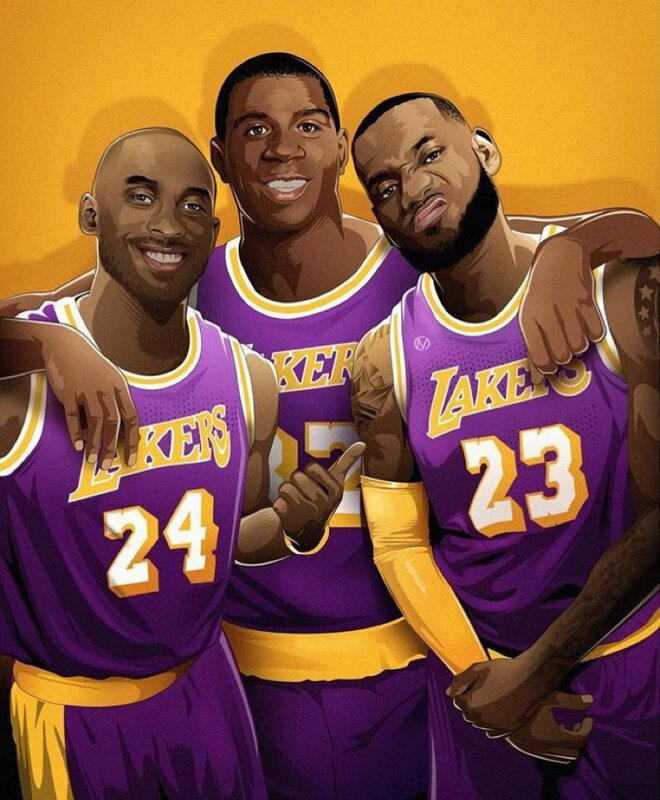 Those will be the guys the Lakers keep and guys like Randle will be gone. I don't want to see Randle back on the team.